Everyone seems to have there own way of cooking and cleaning crabs and its not often 2 people will agree. This is my method and I am happy with the results. I put my crabs in fresh water for 30 mins on arrival home and this generally will cause them to empty there stomachs. After this I kill them by putting them in the freezer for 30 mins. As long as your crab is terminated that’s all that matters. I cook my crabs in fresh water in a large pot and to the water I had approx 2 tablespoons of salt and 1 tablespoon of sugar. I bring the water to the boil then drop in a couple crabs and place a lid on to speed it up coming back to the boil. When the water has started boiling again I cook them for 4 minutes for normal crabs and 5 for big ones. They start floating when nearly cooked so this is a good indicator. I take them from the pot and drop them in the sink which is filled with COLD water. The heat retained in the shell will continue to cook the meat if this is not done it is IMPORTANT. I leave them in cold water for about ten minutes. I then clean the crabs by lifting the flap underneath them and removing the top shell. I then rinse under cold water briefly and remove the mouth parts and gills. I sit them upside down to drain then its off to the fridge to keep the beer company until they are chilled. Chill them down eat and enjoy. The legal size on Blue Swimmer crabs is 6cm from front of shell to the back. A crab of this size while legal is so small it is not worth bothering with. Better to put them back and take a feed of good size crabs instead. Before keeping a crab check to see whether it is male or female. Female crabs are brown in colour and have a rounded flap underneath. Put females back. 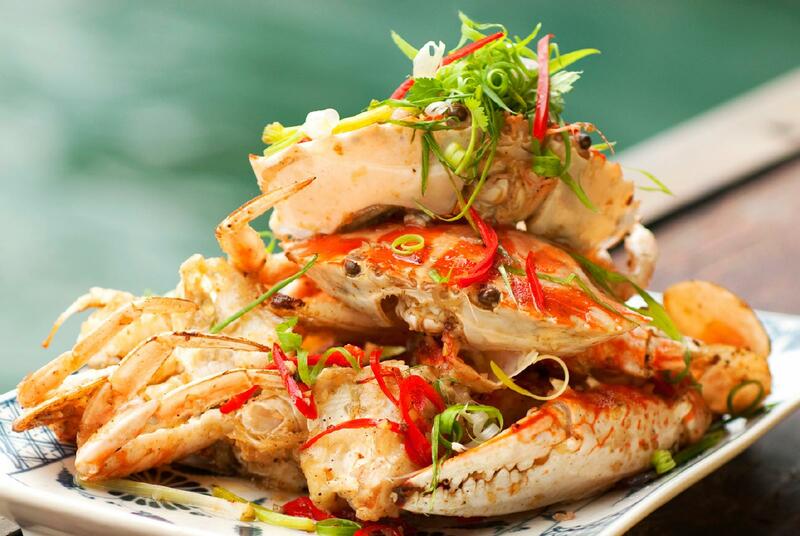 Also feel the crab’s shell by squeezing it between thumb and forefingers at the widest points of the shell. If it is soft it means the crab has just molted and there will be very little meat in it. Put these back also. Good crabbing! Please read our General Disclaimer.